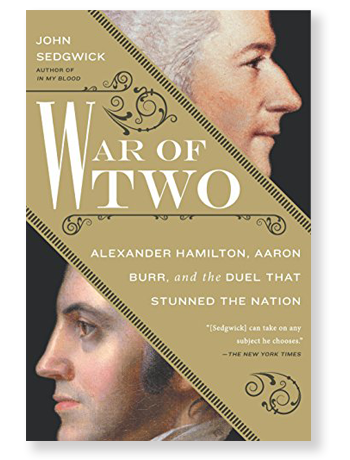 In War of Two, John Sedgwick explores the long-standing conflict between Founding Father Alexander Hamilton and Vice Pres-ident Aaron Burr. A study in contrasts from birth, they had been compatriots, colleagues, and even friends. But above all they were rivals. After matching each other’s ambition and skill as lawyers in New York, they later battled for power along political fault lines that would not only decide the future of the United States but define it. A series of letters between Burr and Hamilton suggests the duel was fought over an unflattering comment made at a dinner party. 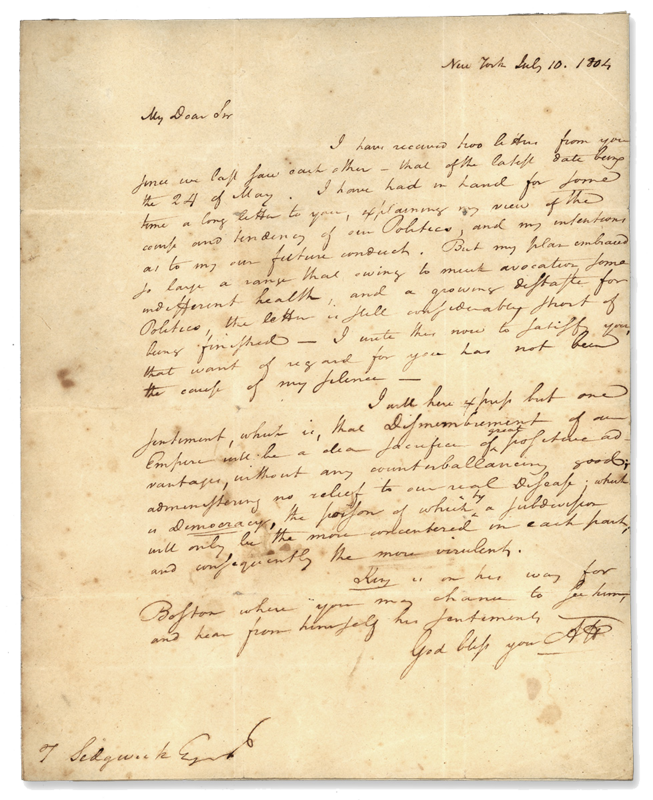 But another letter, written by Hamilton the night before the event, provides critical insight into his true motivation. It was addressed to former Speaker of the House Theodore Sedgwick, a trusted friend of both men, and the author’s own ancestor. John Sedgwick argues that Hamilton saw Burr not merely as a personal rival but as a threat to the nation. Burr would prove that fear justified after Hamilton’s death when, haunted by the legacy of his longtime adversary, he embarked on an imperial scheme to break the Union apart. Both prizes given for the year’s best book about the Founders.